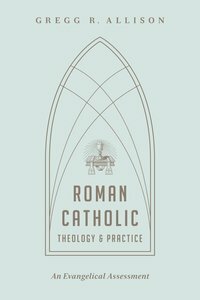 About "Roman Catholic Theology and Practice"
Dr. Gregg Allison (Ph.D., Trinity Evangelical Divinity School) is Professor of Christian Theology at The Southern Baptist Theological Seminary in Louisville, Kentucky. He came to Southern from Western Seminary in Portland, Oregon, where he had taught theology and church history for nine years. He has also served as adjunct faculty at Trinity Evangelical Divinity School, Deerfield, IL; Elgin Community College, Elgin, IL; Judson College, Elgin, IL; and Institute of Biblical Studies, Western Europe. He is the author of Historical Theology: An Introduction to Christian Doctrine; Getting Deep: Understand What You Believe About God and Why; Jesusology: Understand What You Believe About Jesus and Why; and A Theology for Christian Education (with James Estep and Michael Anthony).